Microsoft will kill support for Windows XP this April, but for those of you who are using antimalware products, Microsoft will continue supplying those signatures until July of 2015. 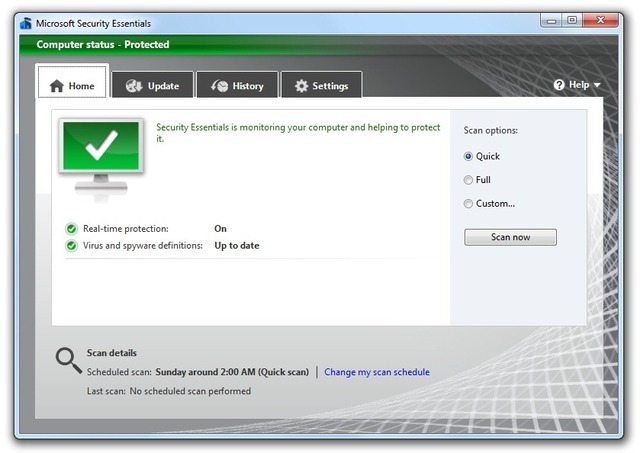 This means that Microsoft’s Security Essentials will still be updated after the April cutoff date, but the underlying OS will remain vulnerable. This is an interesting move as Microsoft has been pushing hard to get everyone off the aging OS. Seeing that they will continue to support Security Essentials past the support deadline sends mixed signals to consumers, as they will likely read that OS updates are no longer being distributed but that Security Essential support is still valid. Because the average consumer isn't very tech savvy, he or she could easily confuse this to mean that XP is still a supported and safe product to use if Security Essentials is installed. The announcement came on Microsoft's Threat Research & Response Blog, though it does little to explain why they will provide additional support on XP after the April 2014 cutoff. In fact, they admit that "their research shows that the effectiveness of antimalware solutions on out-of-support operating systems is limited." Microsoft will also be supporting System Center Endpoint Protection, Forefront Client Security, Forefront Endpoint Protection and Windows Intune running on Windows XP as well with antimalware support into July 2015 ts well. Again, this appears to undercut their push for the corporate entities to move off of XP as they will have supported products running on an unsupported OS.